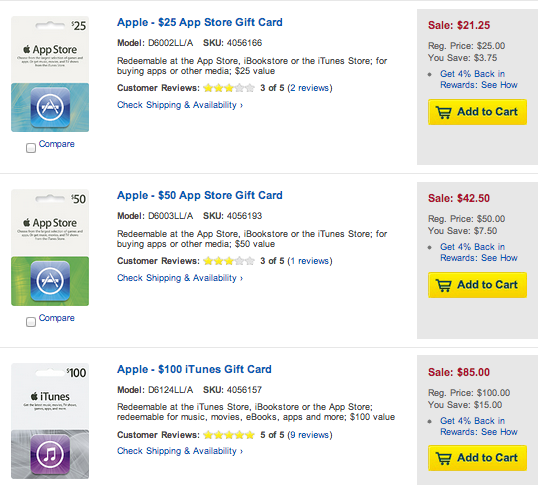 Today only, Best Buy is knocking 15% off of iTunes gift cards in all denominations both in physical and online with free shipping. Update: Best Buy Reward Zone members can get 20% off (free to sign up). The discount applies to all of Apple’s media including music, videos, movies, books, iOS and Mac Apps and more. Perhaps you can knock out your holiday shopping a little earlier this year?